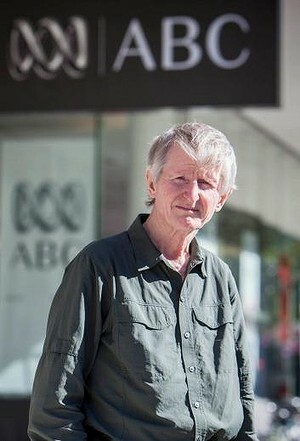 FOR most of the last 40 years, Sean Dorney has been the voice of Australia on radio and television. But his gentle cadence, “bruised by a north Queensland accent,” he jokes, isn’t a voice that many Australians would immediately recognise. Dorney has reported on the South Pacific for the ABC since 1974, starting in Papua New Guinea. In the decades since he has traipsed back and forth across each of the tiny independent nations in the neighbourhood. He’s covered coups, corruption and natural eruptions – a warlord once put a price on his head and he’s twice been deported. But much of Dorney’s reporting about the Pacific has been aimed at an audience in the Pacific, a service Australia provided to foster good will in the region and a sense of community. Now that voice is lost to the airways. Dorney’s job is one of dozens axed from the ABC in the wake of the Abbott government’s decision to squeeze the broadcaster’s budget and cancel the $223 million contract for the overseas television service, Australia Network. The cuts have also cost Radio Australia after ABC management combined the once separate radio and television newsrooms in 2012. ABC chief Mark Scott last week lamented that more than 1000 years of combined professional experience was disappearing in 70 redundancies. Yet the cost may be far greater than just the journalists’ jobs. While a much diminished service to the Pacific will continue to be aired, the price of the cutbacks could be Australia’s influence and understanding of the region. Dorney certainly has some impressive and unique achievements in what colleagues universally applaud as a distinguished career in the Pacific. He arrived in PNG in the year before the country’s independence, just 23 years of age, seconded from the ABC in Townsville to the local National Broadcasting Commission. He delivered regular radio updates about the fledgling nation’s constitutional debates. But his journalism was only part of the story. Dorney went on in 1975 to represent PNG in its national rugby team, the Kumuls, becoming captain in his last game in 1976 – a “huge honour”, he tells The Age. Around the same time, Dorney married Pauline Nare, the first female broadcaster from Manus Island. They had two children and in 1979, Dorney took the job as ABC correspondent in Port Moresby. He immersed himself in the local political scene, getting to know many of the key players who would shape the country’s future for years to come. But he upset those in power, too. 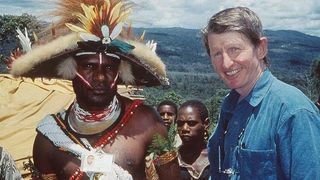 In 1984, Dorney was on the receiving end of a deportation notice for having helped television program Four Corners put to air an interview with James Nyaro, a bush commander with the West Papuan rebels fighting for independence in the neighbouring Indonesian province. “It was particularly tough on Pauline, because to keep her own family together she had to accept being deported from her own country,” Dorney says. Barred from PNG, Dorney gazed out to the rest of the Pacific. He cobbled together enough internal support within the ABC to establish the role of Pacific correspondent, based out of Brisbane. Plenty of stories needed to be told. He covered the conflict in the French colony New Caledonia, only 1200 kilometres off the Australian coast, and the myriad challenges besetting the 14 independent nations of the region. But the job wasn’t easy. In a sign of the precarious place the Pacific has ever held in the priorities of Australian newsrooms, his position was financed by three separate departments within the broadcaster. Getting approval to travel was extraordinarily complicated. Frustrated, Dorney quit the ABC in 1985 and went to Darwin, working for about 18 months as a press secretary in the Northern Territory. But Pacific politics gets under your skin and having been forgiven by authorities in Port Moresby, Dorney won back the PNG job with the ABC in late 1987. He stayed in the role more than a decade, an extraordinarily challenging time marked by a vicious separatist war in Bougainville. The rebel leader, Francis Ona, offered a bounty for Dorney’s capture, accusing him of bias towards the government in Port Moresby. But colleagues – and rivals – only ever saw Dorney as scrupulously fair. “His journalism is from a different era in many ways,” says Mary-Louise O’Callaghan, who for many years served as the Fairfax correspondent in the South Pacific, and later with News Limited. The pair were often the only ones reporting the region and O’Callaghan says Dorney was the kind of reporter who always understood that once a story is broadcast, there was no taking it back. Facts needed to be carefully checked, especially in the Pacific, where rumours are rife. And while the two competed for stories, they shared frustration at the way the region could be ignored in Australia. “He always had the attitude the more the merrier because his concern was not enough people were covering the Pacific,” O’Callaghan says. Now there are even fewer. Ironically, these latest cuts come at a time when the Pacific island nations loom large in Australia’s hard line approach to deterring asylum seeker arrivals and are under stress from global warming. The newswire service Australian Associated Press last year closed its Port Moresby bureau, and with revenues in decline, Fairfax and News Corporation have long abandoned the idea of posting a correspondent in the region. Among Australian media organisations, only the ABC has journalists dedicated to the Pacific. But that has now been reduced to a PNG correspondent and a handful working the phones out of Melbourne. The ABC, obliged under its charter to have an international broadcasting service, told The Age it now has just 60% of its previous budget for that service. “The reduction in funds means a reduction in services, but the ABC is working very hard to ensure the impact on our audiences, partnerships and syndication – including in the Pacific region – is minimised as much as possible,” a spokesman said in a statement. The cuts mean Radio Australia will broadcast more domestic content, from News Radio, Radio National, Triple J and SBS. Australia Network will cease in September, with a new television schedule to be revealed then. A six-hour daily service has been mooted. But a number of staff are dismayed that the dumping of Australia Network – what was a fee-for-service contract run for the Foreign Affairs department and subject of a rancorous 2011 tender – has also cruelled Radio Australia, which had long stood alone. Most regretted are the cuts to Radio Australia’s Tok Pisin service, a language widespread in PNG and Solomon Islands. The Tok Pisin service has gone from five full-time and two casual staff, to just two. What used to be two hours of local stories in the local language, broadcast live each weekday, plus another hour each day on the weekend, has now been reduced to just 30 minutes of pre-recorded news Monday to Friday. “For many rural kids like myself, Radio Australia was a link to a wide world beyond the tree lines,” PNG blogger Martyn Namorong wrote last week in regret about the cutbacks. He grew up in a remote logging village in PNG’s western province, and said even in an era of mobile phones, radio “broadcasting theWaltzing Matilda radio sign” still offered better coverage. The hope of fostering precisely this kind of goodwill motivated Australia’s policy makers in years gone by to encourage the ABC to reach out to the region. But the chance that other countries will attempt to fill the void leads some to believe that Australia will be eventually forced back to broadcasting in the neighbourhood. China’s official news agency, Xinhua, set up a bureau in Fiji in 2011. In June this year, Xinhua signed a deal with Vanuatu to supply news in English, French and Chinese. Xinhua gives China massive clout. Cai Mingzhao, China’s minister for the State Council Information Office, told a forum in Sydney on Monday that Xinhua’s worldwide average daily coverage from 171 foreign bureaus amounts to 1400 stories, 2500 photographs and some 600 audio items. With that massive platform Beijing’s influence has been steadily growing across the Pacific. It’s not only in the media, but with officials regularly at leaders’ meetings where Australia and New Zealand had previously held sway. Dorney has also observed the trend. “The Chinese have really upped their interest in the region,” he says. “You just need to go to these countries to see what the Chinese are building” – often prestige buildings or other infrastructure on soft loans that local politicians want. Dorney revelled in telling stories about the Pacific for the Pacific because he could assume a measure of local knowledge – not have to “dumb it down” for an Australian audience that knows so little about the region. He could appear grumpy at times, especially with the fly-in, fly-out habits of Australian media who might turn up at the annual Pacific Island’s Forum trailing the prime minister, but did not understand the local issues. Looking back, Dorney remembers the 1994 volcanic eruptions on Rabaul as the most visually spectacular story of his career, the ash spewing thousands of metres into the air from two vents either side of the harbour. A good evacuation plan meant only a few people perished. This was a sharp contrast with the hardest story he covered, a 1998 tsunami on the northern PNG coast near Aitape that killed more than 2000 people – including perhaps as many as 150 children at a single school. Dorney finished his PNG posting soon after and returned to the role as Pacific correspondent out of Brisbane, this time with more success. He spent a lot of time training and mentoring Pacific journalists and worked primarily for Radio Australia. In 2006, Dorney joined Australia Network and three years later ran afoul of Fiji’s coup leader and strongman, Frank Bainimarama. Dorney was deported from Fiji for reporting Bainimarama’s abrogation of the country’s constitution. Never one to skirt a good story, Dorney later bailed up a PNG foreign minister at a dinner event. He complained the customs arrival form when flying in to Port Moresby asked: Have you ever been deported from PNG or another country?